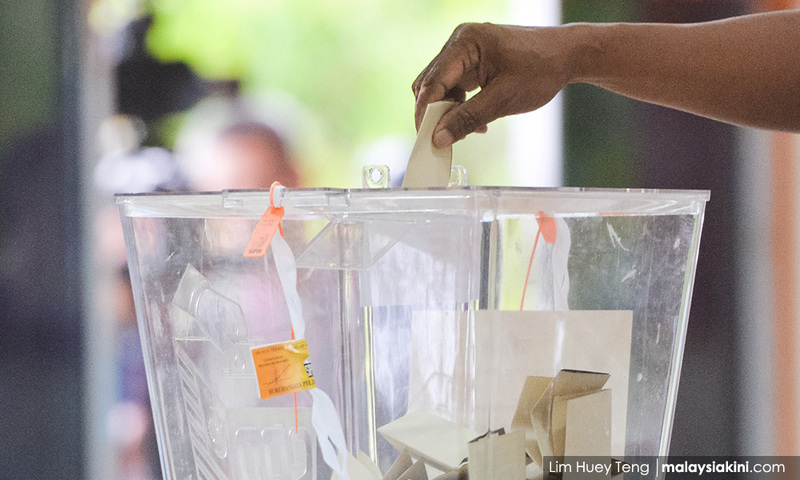 COMMENT | So Pakatan Harapan prime minister-designate Dr Mahathir Mohamad said that because rural Malay constituencies are given disproportionate weightage, a Malay-based party – Bersatu – is needed because the multiracial approach of the opposition has thus far failed. Okay, fine. What I want to know is if Harapan comes into power, will this issue be resolved, and will we no longer have to be at the mercy of rural Malay voters and hence race-based politics? People say that poor folk are ignorant or uninformed about what Umno is doing, and thus the magic bullet of enlightenment if Harapan wins will start the long, slow process of building a more equitable Malaysia. This, of course, discounts the reality that Malay-based hegemons need the same demographic (just the way they are) to remain in power, and so do their non-Malay component parties. But hang on. I know many poor, ill-informed non-Malays, and they understand that they are being screwed by the economic and social policies of this government. They understand that their children are at a disadvantage when it comes to the system but have thrived nonetheless. I mean, how long does it take for the Malays to catch up? How long does it take Malays to achieve “parity” with the other races? The former prime minister seems to think that economic divisions between rich and poor along ethnic lines will destabilise the country. But here’s the thing, the rich/poor divide in majority communities usually start with the rich demonising minorities; when this ends, the majority implodes. Hence the Umnoputras demonise the Chinese community (maybe throw in a little Indian hate for the sake of completeness), and when the dust settles, the Malay polity implodes with the coronation of extreme Islamism to rectify the so-called inequalities of the system, which usually means a new class of theocratic potentates to replace the plutocrats of Umno. Honestly, this idea that rural voters are poor and ignorant, keeping Umno in power, is the political canard that will spell our doom. Well, okay, they may be economically disadvantaged – is that the politically correct term? – but maybe they do not give a crap about the corruption for cultural or religious reasons. I mean, all this talk about God punishing wrongdoers while still voting for those wrongdoers should tell you something. Maybe they also vote for self-preservation, or out of spite, because they see non-Malay communities who do not have the same privileges as them, but are somehow in a better position. It does not matter who taught them to hate, what matters is that nobody wants to stop reinforcing this dogma. They have political leaders bending over backwards, handing out short-term benefits for the long con. They have institutions telling them theirs is a superior religion, thus making them a superior people. They have agencies, institutions, universities, and myriad other publicly-funded organisations all geared to facilitate their well-being and act as a conduit into the economic sphere. Furthermore, they know – and this is the scary part – that social and economic mobility are gained by advancing in a corrupt bureaucracy which privileges their ethnicity. Do you think that anyone would give this up? 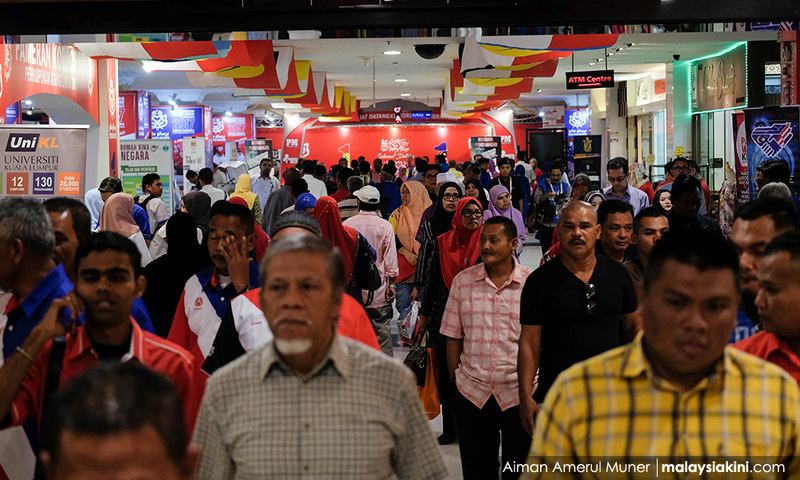 Do you think that it is the interests of Malay political hegemons to foster independence from a system that needs the disproportionate weightage of the votes these people provide? What is that old saying - there are no victims, only volunteers. So re-reading political risk analyst Manjit Bhatia’s letter again, and paying particular attention to this – “So why should Umno's Malay demographic bite the hands that feed it? 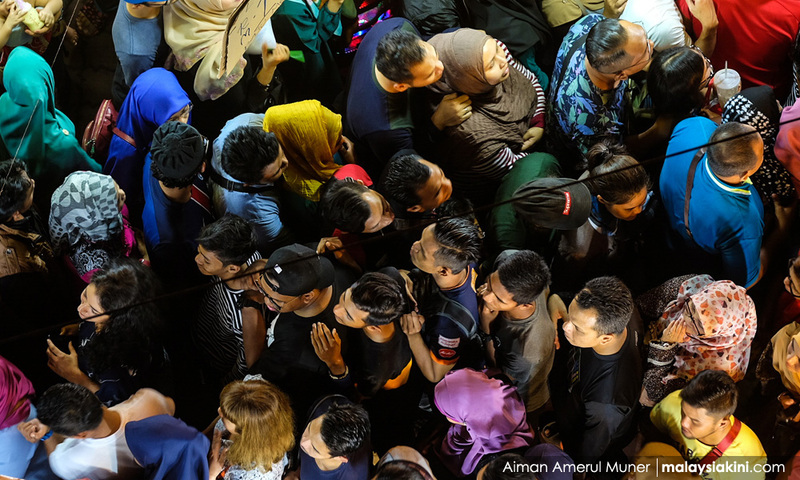 Why would that demographic even hold the Umno Leninist state to account?” – perhaps I answered the question too cavalierly, too optimistically. It deserves a better response but unfortunately, I neither have the intellectual capabilities nor the spiritual acuity to craft a reply. I wonder why non-Malays bother voting when it comes to this rigged game. Sure, we may be able to influence the urban centres, but it is not as if the political leadership of the opposition is willing to change the system. Check that. Or that they will be allowed to change the system. The common refrain is that it takes time. No, it does not. The government is always acting unilaterally to change things. This is how the system is set up. The reality is that it benefits the community and its leadership to keep this system in place. This is why any Malay who deviates from the prepared ethno-nationalist and religious script is demonised. They are not only demonised by the Umno establishment, they are rejected by the oppositional powerbrokers, who essentially want the same game because it is the surest root to power. So maybe it is time to forget this nonsense that this country will ever be one where its citizens are equal before the law. Maybe it is time to forget about the opposition raging against this ‘ketuanan’ horse manure, because the reality is that the non-Malay community has never needed the government, and in fact some have thrived in an ecosystem of systemic inequalities and religious interference. That’s the old formula, right? Expressed in such ideologically-loaded statements like “The non-Malays – Chinese – have the private sector, while the Malays have the public sector.” Each of us in our little boxes, like the ones we check to inform the state which race and religion we identify with. Is there some clarity in thinking this way? Is there merit in believing this pragmatism trumps the kleptocracy of the state? Pragmatism in knowing, but not saying, that it is in nobody's interest to change the system, but instead replacing the powerbrokers in the hopes of maintaining some kind of social and political equilibrium? Some Malaysiakini readers have emailed me and expressed simpatico with my disappointment with the opposition. I had to tell them that I got everything I wanted from the opposition. I wanted the opposition to stop waffling and name the old maverick their prime minister. I wanted the opposition to stop negotiating with PAS. I wanted the opposition to pay attention to the Indian vote. Yup, it’s all there. Anything to “win” a two-party system, which people like Kua Kia Soong, the good folks at Parti Sosialis Malaysia (PSM), the UndiRosak kids, and numerous truly independent political outliers remind us that it means squat if there is no commitment to anything that would separate the ruling coalition from the one that replaces it. I watched a BBC HardTalk episode where Stephen Sackur interviewed the writer Mohsin Hamid, and when pressed why he was still optimistic, he said (and I am paraphrasing here) that societies change because of the younger generation. When old men die, so do their ideas that have held sway for far too long. I sincerely hope this happens in Malaysia. When it comes to our political system – and make no mistake, this system is ‘ketuanan Melayu’ – there are no victims, only volunteers.